Learn E-Learning Challenges - Complete List! 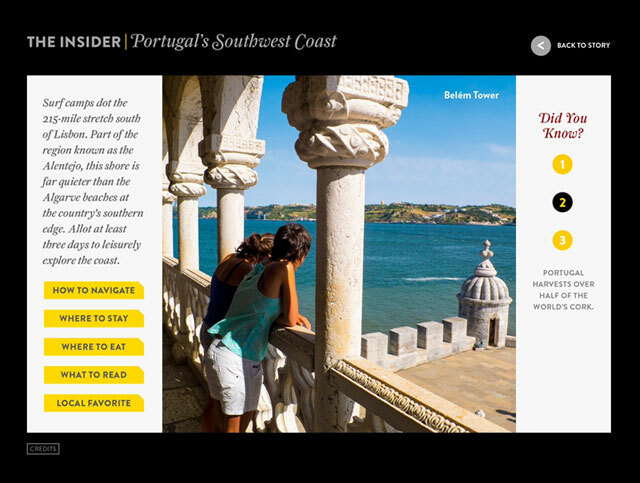 A few weeks ago Charles Hamper posted a request for digital magazine examples created with Articulate software. The thread didn't get a lot of replies, but the topic is highly relevant for course designers. That’s because digital magazines and e-learning courses have a lot in common. They both use the same design elements (text, graphics, audio, video) and often share similar layouts. They also share similar navigation schemes. In most cases, this means removing the player’s default menu and placing custom navigation controls on the slides. 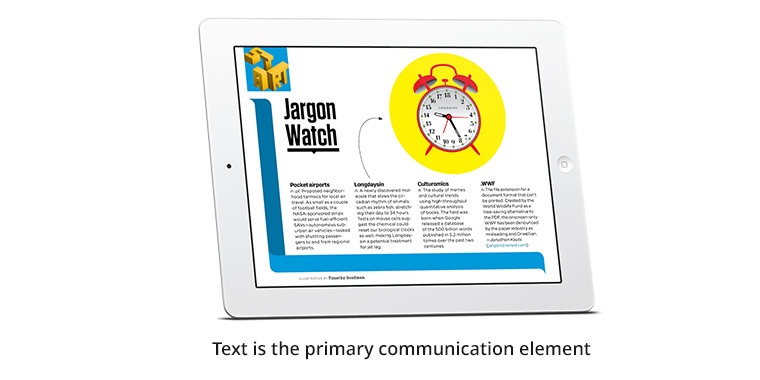 Finally, both digital magazines and e-learning courses often use text as the primary means for presenting information. The emphasis on text is good news for course designers seeking new ways to create engaging read-only courses. Before you jump into this week’s challenge, take a quick look at some popular digital magazines. My all-time favorite digital magazine was The Daily. 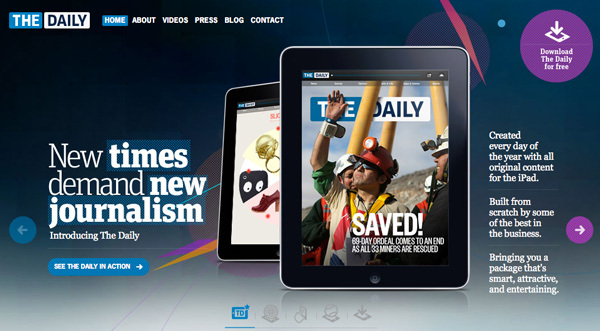 It did a really great job integrating video, multimedia, embedded interactions, and clickable graphics into news stories. Unfortunately, The Daily closed in late 2012. You can view a video overview of the app on YouTube. Another magazine app I subscribe to is WIRED. They don’t include as much multimedia as The Daily, but they do a really good job re-using interactive templates. I haven’t looked at this app in a while but they’re always mentioned as one of the better interactive magazines. Last week Kimberly Bourque shared some screenshots from a recent issue. Subscription: activated. 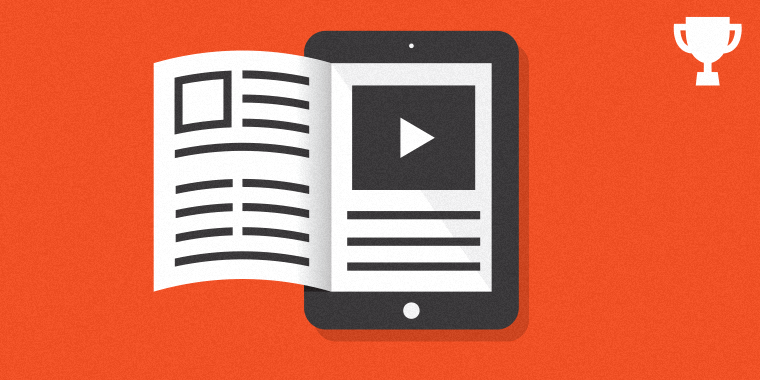 This week your challenge is to design a digital learning magazine. 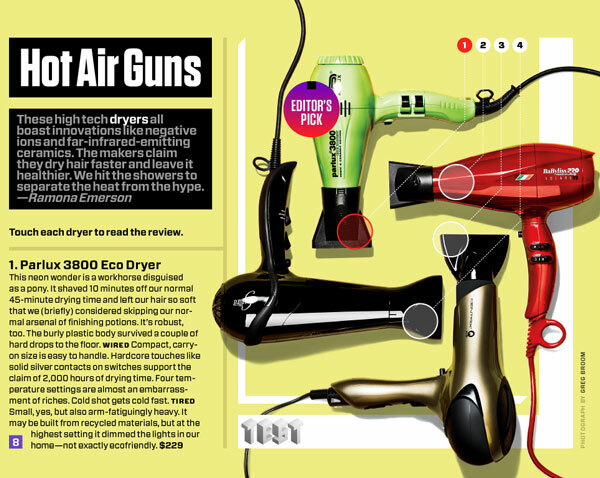 If you’re limited on time, try mocking up some design comps on how your magazine will look. You don’t have to build a fully working prototype—just create some simple design comps of possible slides. Try to include at least three different layout or content ideas. For inspiration, check out some of the more popular digital magazines. Comments: Use the comments section below to share a link to your published example and blog post. Forums: Start your own thread and share a link to your published example.. Personal blog: If you have a blog, please consider writing about your challenges. We’ll link back to your posts so the great work you’re sharing gets even more exposure. Twitter: If you share your demos on Twitter, try using #ELHChallenge so your tweeps can track your e-learning coolness. Facebook: Share your work on our Facebook page by replying to this Facebook post with a link to your example. New to the e-learning challenges? The weekly challenges are ongoing opportunities to learn, share, and build your e-learning portfolios. You can jump into any or all of the previous challenges anytime you want. I’ll update the recap posts to include your demos. 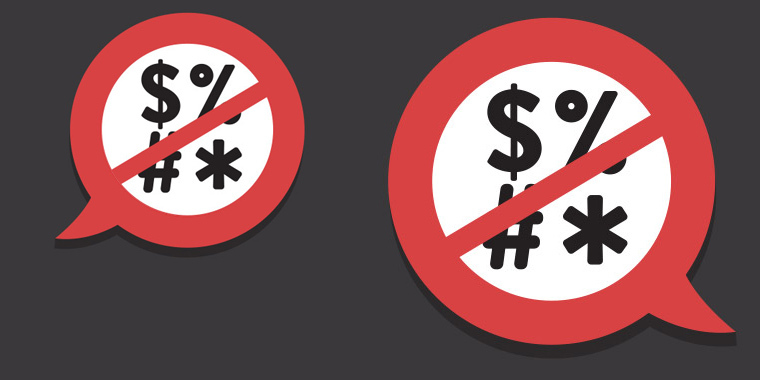 E-Learning Challenges - Complete List! Great challenge! I've come to realize that when "awareness" really is the goal (shudder) then information designer, as opposed to instructional design, is the answer. Looking forward to the entries on this one. Could be interesting to look at some anual reports from major companies. They try to bring accross lots of information and are often top of the line productions. 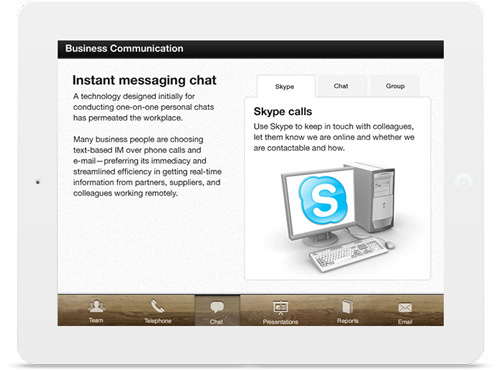 Even when they depict static content you can envision that as something interactive (eg. graphs and such). I love this challenge. I've got a good one coming! I knew you'd be all over this one:-) Looking forward to seeing what you come up with, Tim. The inspiration was flowing last night! I'll have it posted later today. I'm just bummed I didn't record the design work. It would have made for another really good time-lapse video. You always do amazing work, Joanna! Can't wait to see what your demo. Thanks! Outstanding! Thanks for kicking off the challenge AND sharing an amazing freebie, Tim! Thanks David! I can't wait to see what others share with this week's challenge. The possibilities are endless! Really slick and gorgeous, Tim! Very Inspirational. Thanks Kristin! I appreciate it! That's a beautiful piece of work Tim! Your examples are always fantastic and thanks also for sharing some behind the scenes info. Hi Tim, the cover of your magazine looks awesome. I couldn't get beyond it on my IPad, but your blog and Pinterest link triggerd me to switch on my MacBook. You definatly have set the standard high for this challenge! Great work! Hey Paul, I didn't have any issues with it on my end, but I believe I've fixed what was causing some people to not get beyond the first screen. Give it a try again. THANKS! Thanks Jackie! I wanted to create something that looked very "editorial." Those animations are great. I always forget to add some. Maybe I will make a more visual one and do that! Thanks Melissa. I love incorporating animation whenever possible. I look forward to seeing it! Really great work Tim! You really put a lot of thought into the design! I love what you did! It has a great look at feel! Very nice and clean design. Nice job Tim. It looks great! Hmmm. Interesting, I'm not having any issues with it on my end, both on my iPad and desktop. I'll take a look at. Hey Jeff, give it a try again and let me know if you're still having any issues. I made a small fix to it. Here's mine. I figured since I love reading and watching programs about space exploration, I'd make mine about our solar system: http://cropcirclecollective.com/solar_system_explorer/story.html All the actual content is from other sources, but I did write the quiz myself. Very cool Dan. Thanks for sharing. I really liked the font you used. It's hard finding excuses to use those types of fonts...it worked perfectly in this sample. Thanks Tim, yes I normally wouldn't use that font, but I saw it on the dropdown and went for it. Thanks Matthew, I thought I might as well pick a subject I'm passionate about. Makes production go a lot faster! ON TO MARS!!! Thanks Jackie, As I was working on it, I instantly knew what topics I thought were the most exciting, like the methane lakes on Titan, the global ocean on Europa, and Zubrin's and Musk's efforts to get us to Mars, etc. And what could be more thrilling than exploring new worlds in space, right? Right on, Dan! It's great to see you back in the challenges:-) I like the hub approach you took by linking both to internal and external stories. Thanks David, I had a lot of fun creating this one. I like the fact that when you link to an external webpage, Storyline defaults to opening it in a separate browser. I'm always having to remember to tell Dreamweaver to do that when I'm updating my own websites. Yep nice touch connecting to external content. I had not thought of that. I like the menu! It reminds me of one Kevin Thorn did! I like the visuals too. I had trouble finding images for mine. Thanks, Melissa! I haven't seen one like it from Kevin, but I'd love to. Wow - you're right! I like how he added the side up-and-down arrows so you can scroll the entire scenario via thumbnails, too. I didn't need those because mine was only 9 screens - but it's a great method to keep in mind. Thanks so much for digging this up and sharing it, Melissa! Wow, this is really cool Melissa. Love that style. Nice use if images and fontsizes. Good job! Thank you so much, Jeff! Do you think you'll have time to do one this week? I'm totally swamped, organizing a2 day Articulate event will do that :) I still need to put together my presentation, finish last weeks challenge... I have some ideas for a blog post about this one though. Oh jeez! I need to get started. Everyone's entries look swell. Can't wait to see what you create! Hey Kate. I'm receiving the following error when I click on your link: "203 — Non-Authoritative Information." Hi Kate - I get the same error message that Tim does - but I'm looking forward to seeing your entry! Good stuff Jackie! I have to admit....adults not being prepared and "winging it"... Who would have ever thought that would happen? I must admit, once I clicked the "Adults did a better job" just to see what would happen! Wonderful quotes as well! So I had been dragging my heels but I was super inspired this afternoon and evening after looking at all of the entries. Here's mine: http://knanthony.com/showcase/digimag/story.html Blog post will be up in the morning. Nice, Kristin - And you've got a navigation extravaganza going on! (A "naviganza"?) Looks beautiful. Thanks Jackie! I hope the navigation wasn't confusing. I was going for accessible but I know it's always a fine line. I thought it was fine - just impressive in the number of options you gave! That was a lot of work. Kristin, Beautiful work! I love seeing others take advantage of a blur effect for background images. My favorite screen is the one with the (+) markers. Great job! I like the up and down page triggers too! Thanks, Melissa. I was trying to duplicate the UI elements of other magazines. I'm glad it worked. Hi Kristin, I really enjoyed this submission so much packed into it and different ways of navigating the information but still with a consistant look and feel. BTW I'm hungry now! Thanks, Tristan! I really wanted to explore all of the different sorts of interactions one might be able to put into an information design project like this one. I agree with other commnets Kristin, its both a beautiful demo and I'm now feeling hungry :-) I love how you could explore and jump around to something that grabs your attention. Kristin, Wonderful job. Is there really a "lollipop jelly-o topping pudding carrot cake fruitcake" dish out here? I'm a little partial to "Lorem Ipso bacon" myself. Off to get a bit to eat! Great job! Should be fixed! Thank you. I really liked changing the tent colors too. Great interaction. I also liked the use of the GIF for starting the fire. That was a GIF wasn't it? Yes, it was a gif! Thank you! You have no idea how hard it is to find good royalty free camping images. Hi Melissa - It's possible your audio sound effect has some extra space after the actual sound. That dead air is still part of the audio clip and will "play" each time the audio is triggered. Can you take a look at your audio clip and trim away any extra dead space? Yeah, it did have a little and I removed it but for some reason it is still not working on the first one you click on (even though it's all the same). Tim - great job on the menswear catalogue. I like the way you used simple symbols to open up the navigation. Very nice use of semi-transparancies, fonts, and pictures; and the zoom-in feature is essential for getting a closer look at the products. Jackie - another beautiful example! I kind of like yours for the same reasons I liked Tim's: your use of semi-transparancies on top of beautiful pictures and your use of fonts. Great idea to sort of turn the whole thing into kind of a quiz format as well. I have to say I was a bit saddened the adults were beat by the kids in every aspect of the presentation. It makes me wonder what we're doing wrong in our society that instead of learning how to communicate better, we get worse with age and experience! Melissa - Nice use of symbols for the navigation and the sliding in and out of the screens is a cool effect on this. Kristin - Excellent job, I love the look and feel of the whole thing and the variety of ways you used simple symbols like plus signs and arrows to get viewers deeper into the navigation. I'm still getting used to the new navigation on the challenges and didn't realize there was a whole other page of comments and submissions. My insider information prevents me from guessing, but exploratory audiophiles will get it. Nice post, Dan! Very impressive that you knocked all of that (including content!) out in a day. Cool, Dan. I love space stuff too, it's so interesting. Here's mine. An on-line magazine with some tips for...the dog lovers. http://tinyurl.com/luvtj2m I had a great fun with all entries. Really good job guys! Hi Joanna! Great example and great use of animation. I love the bone slider! Digging the device mockup. I toyed around with the idea but I didn't really know how to execute it. Is that something that comes in after publishing or is it a storyline player template that you created? Hi Kirstin it's a smartphone view published output. You can navigate clicking either on down corners of the pages or by home button at the top. I like it! It is so cheerful and there is such variety in the interactions. The smartphone simulation is a cool route to take. Great work on this one. I always enjoy the mini interactions you build into most of your slides. I really like this project, Joanna! Aromatherapy and a slider made from a dog bone! Very creative! Loved it. Joanna this is great! I love the personalized slider bar with the bone and how easy it is to navigate. Super awesome, Charles. Wonderful vintage look and feel and I love that you included adverts. The headers and fonts were spot on! Very well done... I like how it looks like an actual magazine you could pick up and read but with navigation controls etc. The scrolling images is a nice touch. I want to get a Vespa! I don't have a car but Vespas look great. I like the retroness. I was thinking of doing a retro theme sometime. Great design, Charles plus smart and simple page sections. Very, very nice. Charles, Really nice and clean layout. Well done! I just did a second one. I don't know why but here it is: http://melslearninglab.com/ELH/DBM/story.html I think I just wish I was at the beach. Now I gotta write up my blog entries and share my source files. A beauty! I think you've earned a trip to the beach. Forget the blog, Relax a little! Thank you! I did write a post too! I'm digging the animations you used and the kirkpatrick interaction. The Hover effect on Christy's answerd doesn't seem to work well for me. It flickers on and off. Also the kirkpatrick interaction selection area seems to be just the colored circles, not the middle of what seems to be a complete button. I'd make sure those work according to expectations but other than that, really nice work! Thank you Jeff, those were some great tips. I was trying to get away with having shapes serve as interactive elements and that didn't work. I fixed it with transparent buttons and would appreciate your feedback on that. Yep, no more clicking issues. Though always be mindful that a mobile device does not have a hoover capability and such functionality will not work (well). Great use of large high quality images! Alexander, Nice job. I especially love the call out for my friend Don! Great post Jeff! Thanks for the mention!